Introduced by Richard Rodney Bennett, other contributors in this film include Elizabeth’s daughter, composer Nicola Le Fanu, Anne Macnaghten and Elizabeth Maconchy. The composition of classical music has been almost entirely a male preserve. In the late 1920’s, when Elizabeth Maconchy was turned down for the Mendelssohn Scholarship, she was told it didn’t matter because “you will only get married and never write another note.” She did get married, to William Le Fanu in 1930, the same year that her piece The Land was performed at the Proms. Neither severe illness nor bringing up two children has stopped her writing many notes since then. 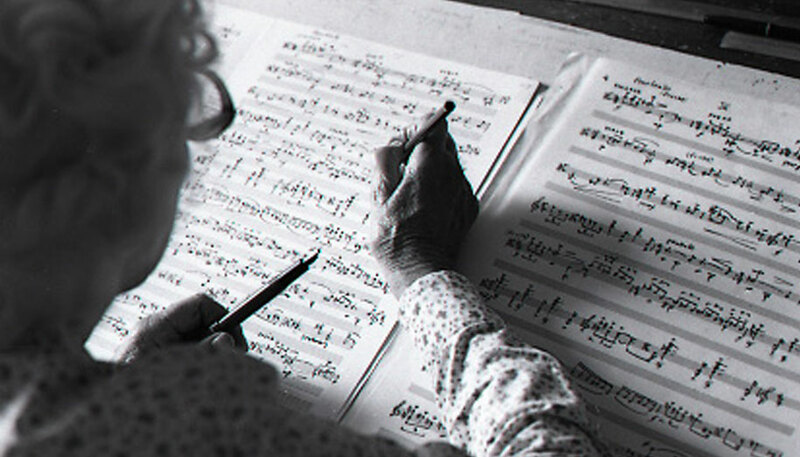 Born in 1907, into a non-musical family, she began writing music at the age of 6. At 16, she went to The Royal College of Music where she was taught by Charles Wood and later Vaughan Williams, “and that was rather like switching on the light, suddenly music became illuminated.” After leaving college, she was involved with other young women, including Elizabeth Lutyens, Anne Macnaghten and Iris Le Mare, in performing their own and other contemporary music. The Macnaghten Series of Concerts that resulted is still running today. 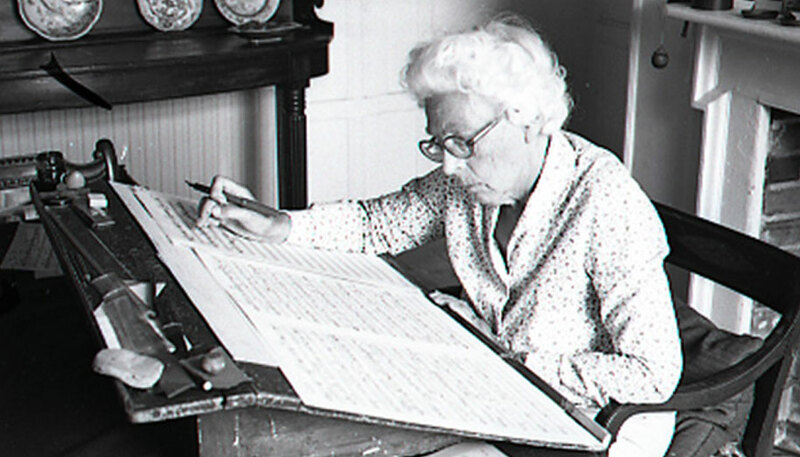 Strings are Elizabeth Machonchy’s favourite medium, and central to her musical development are her 12 String Quartet, written between 1933 and 1979. “The kind of music I like best and the kind of music I try to write is an impassioned argument.” She is seen at work and rehearsing a new piece, one of 5 Sketches for Solo Viola and extracts are performed from 1st and 12th String Quartets, The Wind Quartet and Music for Strings. The two choral works featured are Pied Beauty and My Dark Heart.